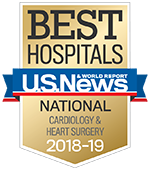 The University of Michigan Samuel and Jean Frankel Cardiovascular Center is fortunate to enjoy the generosity of many people and organizations in the community. Give a gift of your time by attending or hosting a fundraising event. Events are a wonderful way to raise awareness and funds for the Frankel Cardiovascular Center. Community fundraising events — those planned and organized by supporters like you — make a significant difference in the lives of our patients and families every day. Ready to start planning your own event? Find out more about getting involved here. You can download our events toolkit, post your event to our community calendar, and access other event resources. Have an upcoming event you'd like to share with us? Fill out our community fundraising form to get connected with our fundraising staff and be listed on our community calendar.